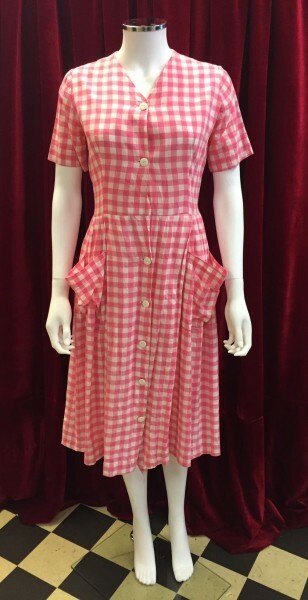 We love this pretty pink and white check cotton 1950s frock! It features lovely pocket detailing and original white buttons. Full mid century skirt with an underskirt for extra drama. The perfect summer dress. Available now instore from our London Boutique or online from our Etsy shop.